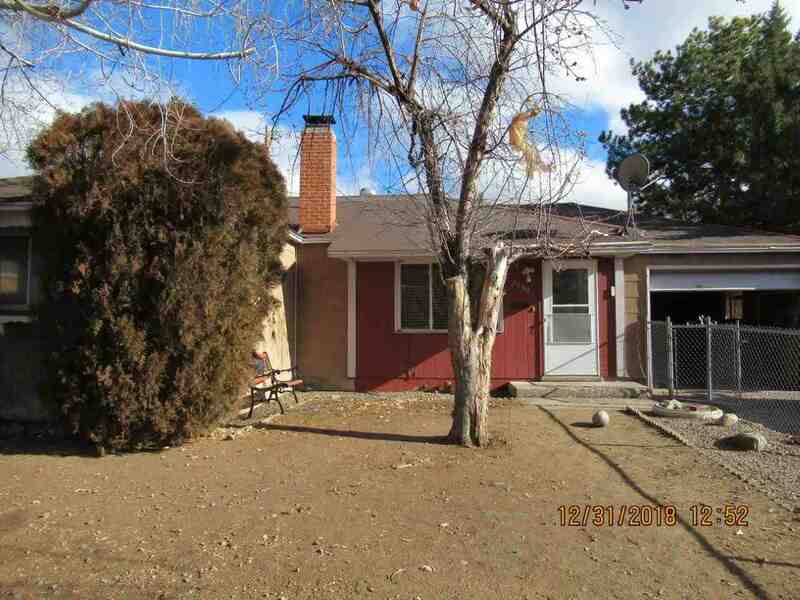 Single story 3 bedroom/1 bath/1-car garage house in well-located neighborhood near shopping, bus line along York Way. Brick fireplace in living room. Carpet in living room/dining room combo, the three bedrooms and hallway. Vinyl tile that resembles laminate in kitchen. Linen closet and spacious coat closet in hallway. Fenced front yard and back yard with covered patio. Missing gate on right side, missing glass in double-hung window in dining room.